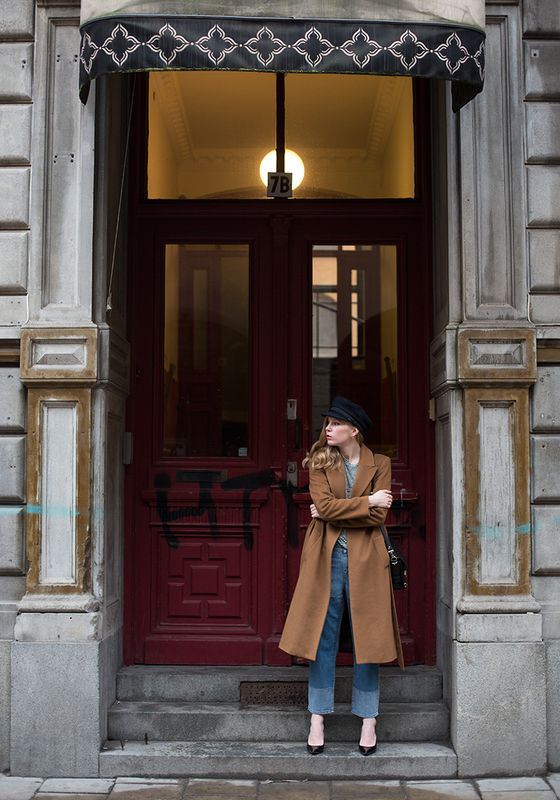 This entry was posted in Outfit and tagged boyfriend jeans, camel coat by Carolina Engman. Bookmark the permalink. Patchwork/multicolored denim is just so timeless! I remember my mom had a pair like this in the 90’s and I wish she’d kept them. Definitely a statement piece that will never go out of style. Great post! You look incredibly stylish head to toe! LOVE the coat and hat! Love your coat, great look! You styled the pieces in a perfect way, love these shoes as well! Perfect style! So cool and chic! Fantastic heels and such a lovely hat! Beautiful camel coat too! Great look! love your makeup and accessories! Love this look, those jeans are fab and this coat is stunning! You look super cute in these shots! breton stripes is something what all girls need ! Great outfit, the coat is very nice! What an effortlessly cool and chic outfit! I love every single detail! Such a great basic outfit! And I love the playful touvh that the hat adds! You look beautiful. 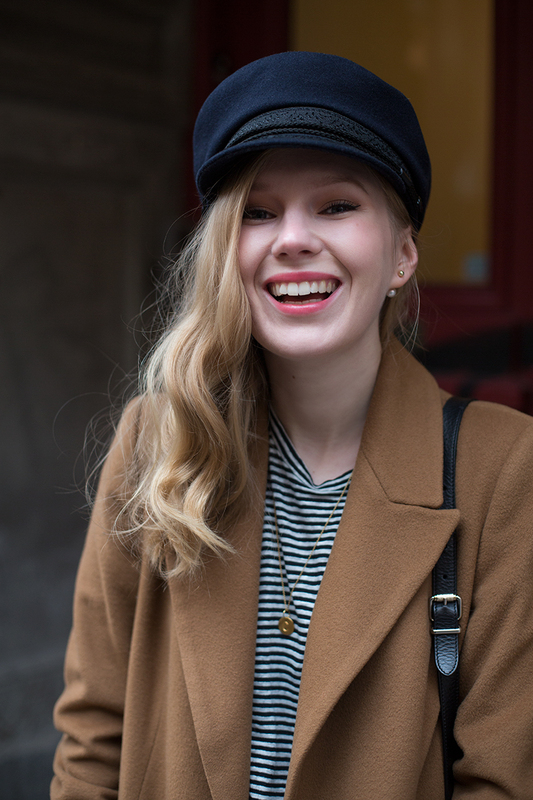 Love it when you smile and the boyfriend coat looks so chic on you! Great look, love the two toned effect! Beautiful outfit. Love the camel coat! Love this look so much! This coat is insanely chic! Love the camel coat!!! I want one for myself!! Such an effortlessly stylish look with the chic two-tone jeans and love the hat too, very fun design! I think that this has such a unique vintage yet modern combination… I don’t know what exactly, the navy shirt and hat with the long coat and this amazing jeans give me a retro feel and I love it, it’s so original and elegant! You look amazing! Absolutely love the look! Great style! I don’t really like those jeans, but you pull them off somehow ! And that coat and the shoes are simply beautiful !! LOVE this outfit! Camel over denim and stripes is perfection!! You are so beautiful and so stylish ! This is so fabulous! So chic, love this! Would like to know the lipstick you are wearing! Love the colour!!! Your jeans are simply amazing! Love the way you styled them! love your outfit, love your smile.. Perfect !! Recently slightly overwhelmed with camel coats, I really love this one. Really fun and inspiring look! Ahh I love the outfit! Especially the coat, the camel colored ones are so popular now! Your style is impeccable as always! You are rocking two trends in one -the boyfriend jeans and the camel coat! Well done! So Dainty and Chic!! I really love this two-tone Boyfriend jeans such an amazing sense of style! You make everything look so wearable!